Actress Marley joins the TGE team to chat about the pros and cons of working for nothing in the indie film industry. 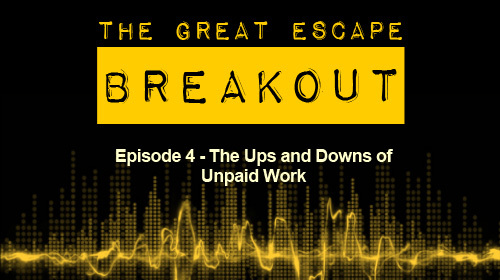 In this episode of Breakout, actress Marley Hamilton joins us for a chat about the pros and cons of unpaid work. We share experiences and observations from the world of indie film, about the attitudes to free work from both sides of the fence; production company and freelancer. Should we all be refusing to work for free? We hope you enjoy our latest episode of Breakout. Please give us your comments, topics you’d like us to discuss in the future and more. Also, If you’d like to receive alerts for future episodes, like and/or subscribe!